Myself & the boyfriend embarked on another day of fun this weekend & had the YUMMIEST breakfast at Lantana Cafe tucked down a little lane near Goodge Street in London. Greg came across it on one of the many restaurant/food apps he has on his phone & when we arrived & saw the queue snaking its way across the front of the building we knew it wasn't likely to dissapoint! After queuing for about 20 minutes in arctic conditions we eventually got seated inside the teeny cafe at a teeny table & ordered a big pot of tea to warm us up. We ordered pretty much straight away having spent the 20 minutes outside wisely perusing the menu, the menu which is full of amazingly yummy sounding food. 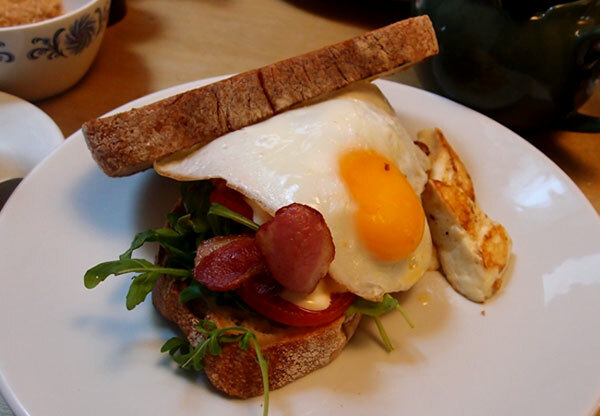 It took me a while to decide what I was going to have & changed my mind about 10 times but eventually decided on the "BERT" - not sure why it's called Bert… but it's basically a posh bacon sandwich - Bacon, Egg, Rocket, tomato & aioli, & I added a cheeky side of Halloumi cheese just to make it that extra bit special... it was gooood. 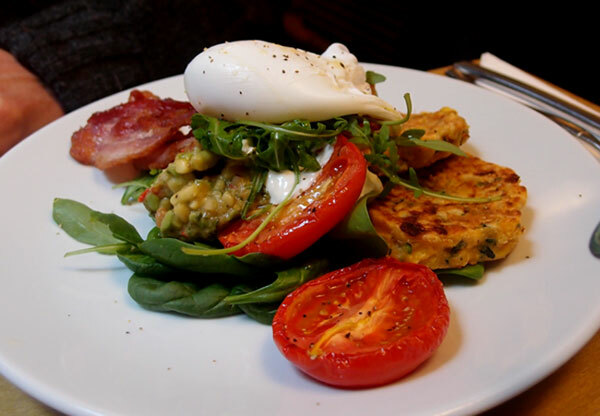 Greg had corn fritters with bacon, spinach, roasted tomatoes and avocado chilli lime salsa, the salsa was AMAZING & went really well with the corn fritters. But yea, go to Lantana, it's yummy, the service is really good & they sell wine & gin. What more could you want on a Saturday morning?! I'm going to have to go back to try the Cinnamon french toast with blueberry compote, honey ricotta and toasted almonds. The thought of that makes me happy inside. 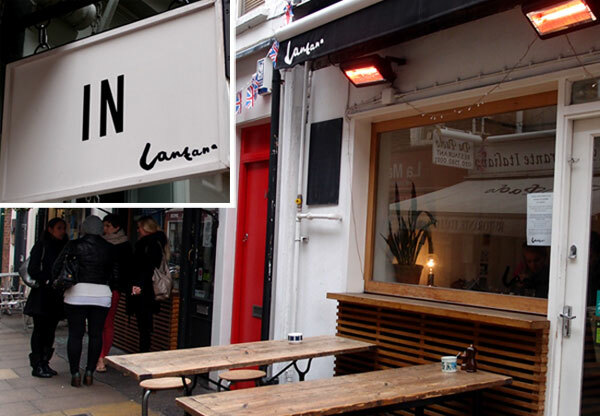 Or perhaps i'll try out their sister restaurant in East London, Salvation Jane.